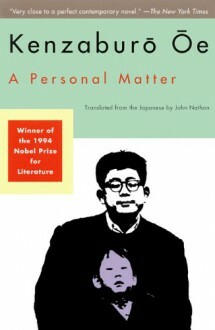 Oe’s most important novel, A Personal Matter, has been called by The New York Times close to a perfect novel.” In A Personal Matter, Oe has chosen a difficult, complex though universal subject: how does one face and react to the birth of an abnormal child? Bird, the protagonist, is a young man of 27 with antisocial tendencies who more than once in his life, when confronted with a critical problem, has cast himself adrift on a sea of whisky like a besotted Robinson Crusoe.” But he has never faced a crisis as personal or grave as the prospect of life imprisonment in the cage of his newborn infant-monster. Should he keep it? Dare he kill it? Before he makes his final decision, Bird’s entire past seems to rise up before him, revealing itself to be a nightmare of self-deceit. The relentless honesty with which Oe portrays his hero  or antihero  makes Bird one of the most unforgettable characters in recent fiction.